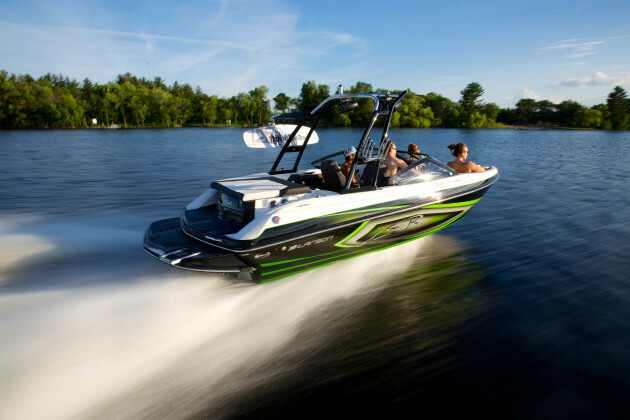 Polaris Industries will relocate its newly acquired Larson Boat Group from Pulaski, Wis. into its Rinker Boat factory in Syracuse, Ind., company officials confirmed Tuesday. Rob Parmentier, CEO of what was Marquis-Larson Boat Group, said Tuesday that he decided to sell the assets of the Larson Boat Group to Polaris after struggling to find enough workers in Pulaski to keep up with demand. At the time of the sale, made public Monday, Parmentier was short about 50 workers. "We were up here near Green Bay and were just struggling to find enough workers," he said. So, selling Larson to the Medina-based Polaris is simply a "a win-win," Parmentier said. Larson Boats used to be made in Little Falls, Mn. but moved to Wisconsin in 2017 as part of a consolidation effort. he will retain all 300-plus existing employees in Pulaski, moving them over to work on the Marquis Boat Group line of products that the company is retaining. Marquis Boat Group makes Marquis Yachts and the Carver Yacht line recently developed for Toyota/Lexus. Meanwhile, Parmentier said he has already begun to ship manufacturing molds for Larson, Larson FX, Striper boats, and Escape Pontoons to Polaris' Rinker plant in Indiana. Polaris acquired Rinker Boats as well as Bennington, Godfrey and Hurricane boats in July when it paid $805 million for Boat Holdings LLC. Polaris spokeswoman Erika Frederick said the addition of Larson should "result in new manufacturing and operations positions for the Polaris Boats facility in Syracuse." It is not immediately known how many jobs will be added.